Debt collection can be an uncomfortable process, even for large businesses. 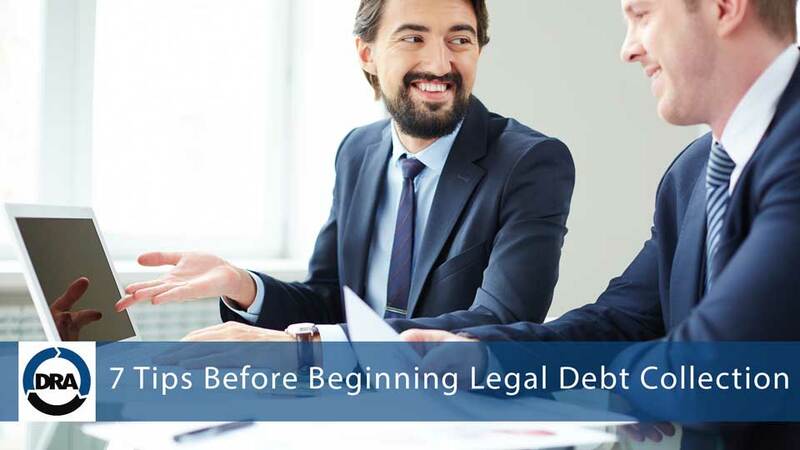 These tips are designed to help you understand your options and make the right decisions for your business and to help you avoid going legal right off the bat. It all starts with your account handling processes. Whether you are chasing up debts against a client or a third party, accurate and detailed records will help you quickly identify and deal with delinquent accounts. Your clients (or third parties) should know exactly why and how much is owed. Provide itemised invoices (or in the case of third parties, a breakdown of the amount demanded along with proof of loss) that include a specific due date for payment. Do not ignore unpaid debts. Don’t wait to take action on the debt. The longer a debt remains unpaid, the less likely you are to collect. Call BEFORE payment is overdue – be proactive. Don’t wait until after your debtor has breached their promise to pay. Call your debtors a few days prior to the due date and confirm they have received your invoice or letter of demand and that they have your bank details. Be professional and courteous in your collection efforts. It is illegal to threaten, harass or intimidate customers who are unable to make payment. Never threaten an action you are not willing or legally allowed to make. If you have a particularly difficult debtor that you are not willing to deal with, consider referring the matter to Debt Recoveries Australia for assistance. Consider accepting an installment plan. Some customers simply do not have the funds to make a one-time payment. Try working with the customer to determine what they can afford or if installment payments are feasible. Be sure to document any agreement you make in writing and have the customer sign a copy to acknowledge they intend to make payments. Debt Recoveries Australia can help manage and monitor installment plans you enter with your customers. Be consistent and persistent. This is the secret key to any debt collection. The twin firepower of consistency and persistence will get your money paid, more often than not. So, please actually try yourself before engaging solicitors. Talk to a solicitor first, before going legal. If the debt is simply not economical to pursue or the debtor has no means to pay, a trustworthy litigation solicitor may even talk you out of it. Talk to Debt Recoveries Australia’s legal partner, ADC Legal-Litigation Lawyers. If the amount owed is large enough to warrant further action, you may need to consider legal options. ADC Legal can provide quick and useful legal advice and help you decide on the best course of action. Go to adclegal.com.au to learn more or call 1300 799 820.